Shopping the easyfundraising way with Emmett London, could not be easier. Follow the instructions below, and create an account today to start supporting a cause or charity of your choice. 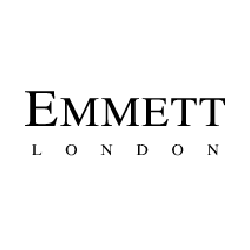 Emmett London produce the finest men's shirts and accessories to the very highest standards. Robert Emmett's designs combine contemporary and traditional, upholding the traditions of Jermyn Street tailoring while embracing a fresh approach to dressing the modern man.